Today brings new improvements to the SEMrush Backlink tool. 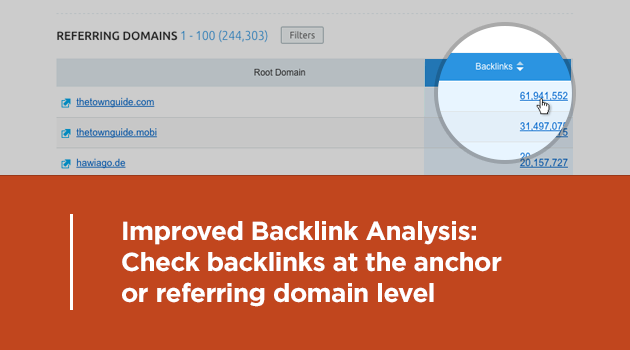 To make your backlink analysis even easier and even more useful, we're introducing new options in the Anchors and Referring Domains reports. 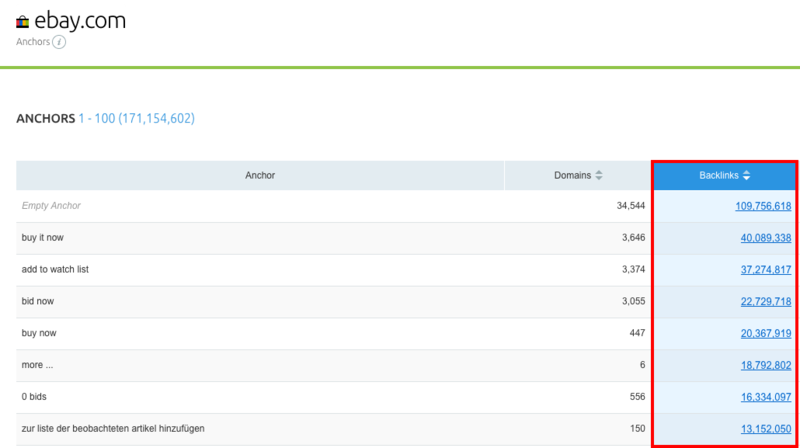 By clicking the number in the 'Backlinks' column next to a specific anchor ('Anchors' report) or referring domain ('Referring Domains' report), you can view the 'Backlinks' report and see a complete list of backlinks that use that anchor text, or are coming from that referring domain, respectively.